As published online at SavannahNow.com — Brian Kastick has had a couple of great business ideas during his career that he regretted not jumping on and he wasn’t going to let that happen a third time. 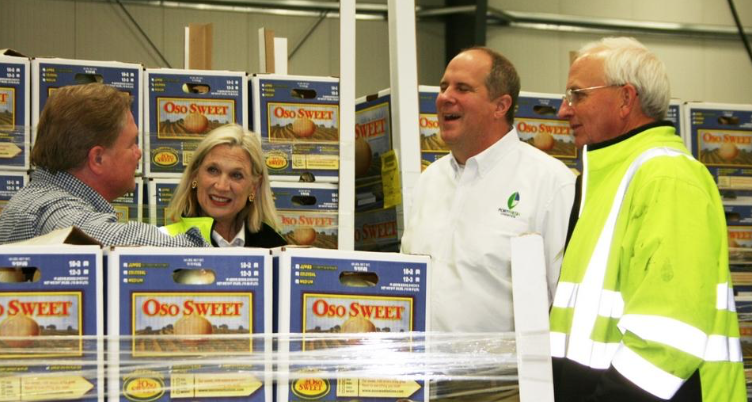 So when he learned of policy changes that would allow fresh South American produce to be brought into the Port of Savannah, he began planning a cold storage and packing business in Effingham County. The 100,000-square-foot facility on 20 acres at Old River Road and I-16 has already grown by an 11,000-square foot onion drying room and its owners plan to double the size of the building within the next year. The company has three times the number of workers it originally had forecast – 120 – and has exercised an option to buy another 162 acres, which it has cleared and is marketing to other food-related businesses. The facility processed 6,000 truckloads of produce in its first year. Workers wear jackets and sometimes ski masks as they use forklifts to move boxes of fruit and vegetables to and from trucks and rooms set at optimum temperatures – 57 degrees for bananas, 50 degrees for mangos and avocadoes and 34 degrees for grapes other fruits. Kastick, who worked as an importer, marketer, grower and shipper of fresh produce before starting PortFresh, said the business requires a lot of coordination, with trucks coming in and out at all hours of the day and night and the produce requiring U.S. Department of Agriculture and U.S. Customs inspections. The plant is always open. “We’re open Sunday because people eat on Monday,” Kastick said. Kastick said the capital investment was steep; he estimates the current building and machinery cost $25 million. That includes expensive machinery that can package 45 three-pound bags of onions every minute and a machine that puts stickers on individual pieces of fruit such as apples. Kastick said opening up the Port of Savannah to fresh produce means customers will get fresher fruit and vegetables faster and for less money. Previously, 95 percent of the imported fruits and vegetables entering the U.S. East Coast arrived through Northeast ports and were trucked to customers in the Southeast. Imported fruits go through “cold treatment,” being kept for a certain number of days at cold temperatures to ensure they are free of pests or pathogens. The USDA began allowing cold fruit to be offloaded at the Port of Savannah in 2014 if the cold treatment time was completed. This year, the USDA began allowing the cold treatment to be completed at the terminal or at PortFresh. “We make sure there’s no break in the cold chain,” ensuring the quality of the product, Kastick said. PortFresh’s main customers are grocery store chains and importers, but it’s also working with farmers who want to use the business’s repacking and exporting services. WE PACKED OUR FIRST PACK OF CUTIES! Did you know — Cuties and Halos are different types of mandarins depending on what time of year it is. They are not always the Clementine variety. In fact, Clementines are only available during the beginning part of the citrus season (from November to January). 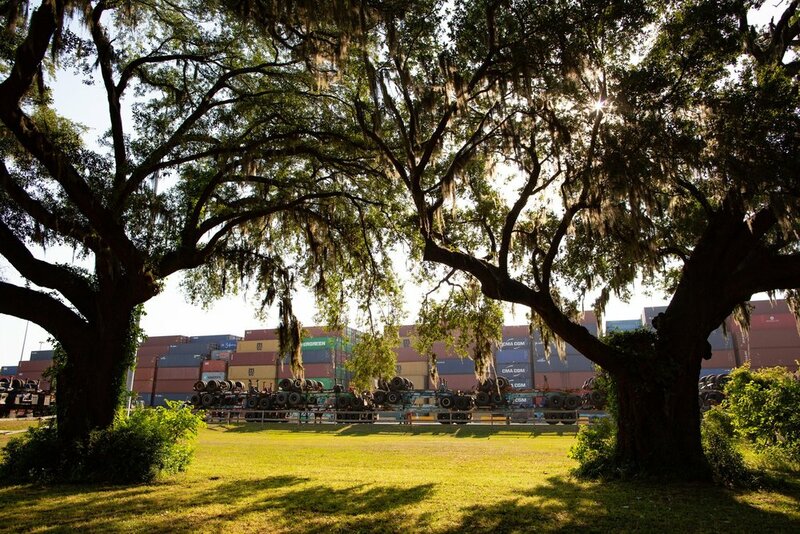 Brian Kastick, CEO of PortFresh Logistics, said the company has been working for more than two years to meet the need for additional chilled cargo infrastructure in Savannah. Thanks to a new U.S. Department of Agriculture program allowing South American citrus fruit, grapes, blueberries and other produce items to enter via the Port of Savannah, substantial cost savings are now available to customers across the Southeast and beyond. PortFresh’s state-of-the-art cold storage facility, on 20 acres of a 182-acre site, is specifically designed to allow multiple climate zones. Engineered to maintain cold chain integrity, the facility ensures delivery of the freshest and safest produce from the port to the customer. PortFresh handles both import and export cargo. The main building is located right off Interstate 16 on Old River Road in Effingham County, seven miles from Interstate 95 and 15 miles from the Port of Savannah’s Garden City Terminal.